Home / Blog / Awesome Penny Stocks: The Biggest Pump and Dump Scheme? Penny stocks have always been popular among individuals looking for ways to strike it rich quickly. Many investors are enticed to join free email lists promising the next hot penny stock to buy. Investors receiving these emails rush to buy the stock pushing up the price of the once thinly traded security. Additional emails can convince the uneducated investor to hang on for bigger profits but to only find the stock sinks in value. What the email recipient doesn’t know is that the sender of the email has been accumulating shares of the penny stock months in advance of the email borage. Then when the stock price jumps in response to the emails the penny stock pumper sells the shares for massive profits. This is the anatomy of a pump and dump scheme. We have an article on this site describing pump and dump and hope you will use a disciplined approach to finding penny stocks to buy. Because of pump and dump, many experts believe that penny stocks are risky and unreliable as they have been associated with several scams in recent times. The Awesome Penny Stocks scam is a popular example cited by many experts to warn prospective investors against microcap stocks. An article by TheStreet.com details the Awesome Penny Stocks story and illustrates the magnitude of the problem. What was Awesome Penny Stocks? Awesome was an online penny stock promotion company that sent out emails to its subscribers with a list of lucrative microcaps that could earn them significant profits. The company promoted 39 stocks over a span of 5 years and was founded and operated by Montreal-based John Babikian. While the recipients believed that the list was created after extensive research in small cap companies, Babikian had other things in mind. He used the email list to tout the prices of certain stocks and dump his own stocks back into the market to achieve profit. This pump-and-dump led to a big drop in the prices of the penny stocks and investors collectively lost millions of dollars during the process. Many investors and stock promoters did not know who operated and owned Awesome Penny Stocks. In fact, U.S. Securities and Exchange Commission (SEC) investigators were also puzzled about his identity for a while. The company developed a list of prospective subscribers and penny stock buyers with the help of keyword advertising. It boosted the bidding price of keywords such as “penny stocks”. At one point of time, Awesome Penny Stocks was responsible for the majority of trading within the industry. The emails boosted the combined value of the 39 stocks by $3 billion. The value of a prescription-drug distribution company increased by $700 million in just two months. 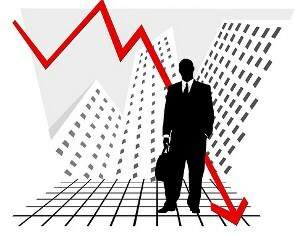 However, as with other stocks marketed by the company, the price plummeted once the emails stopped coming. The company also promoted a mining firm from Calgary; a human organ donor procurement company from Boca Raton, FL; and a Scottsdale-based medical marijuana dispensary. The SEC took notice of this fraud in 2011 and began its preliminary investigation. In 2012, a coal company from Salt Lake City also received an email from Awesome Penny Stocks stating that it would promote the company. The price of the stock rose from 29 cents to $1.80. Investors traded close to 7.8 million shares in one year, which was double the volume in the previous year. Babikian dumped the stock by selling 1.3 million shares during the time for $1.9 million dollars. Investors lost millions of dollars, and the company filed for bankruptcy protection in 2013. Many at the SEC believe that this is the biggest pump-and-dump scam in history. Their investigation revealed some interesting details about the operation and its founder Babikian. Although Babikian was originally from Canada, he left the country in 2012 after tax-evasion allegations by the local authorities. A lawyer who represented his wife in a 2013 divorce case believes he is in Monaco now. However, when the going was good, Babikian led a lavish life. According to Canadian tax authorities, he owned several luxury cars including a Bugatti Veyron, Bentley and Lamborghini. He also owned a $2.2 million house in Los Angeles, CA, and another one elsewhere. Babikian has citizenship in Lebanon, Nevis and Canada. He also possesses a diplomatic passport from Guatemala. He has a private jet rental account with NetJets through a charitable organization known as Vertical International Relief Fund. Investigators believe that Babikian controlled the nonprofit as well. The Canadian tax authorities have seized some of Babikian’s assets to recover a part of the $4.1 million that he owes in form of taxes. The SEC has also moved in and frozen his other assets. Recent reports by Bloomberg and other financial sites suggest that the SEC has entered a plea deal with Babikian. According to the deal, Babikian and other Awesome Penny Stocks employees cannot associate themselves with penny stocks in any capacity. While the proposed settlement does not require Babikian to accept the allegations, he has to pay $3.73 million in form of fines and civil penalties. In accordance with the deal, Awesome Penny Stocks posted a message on its website stating that it will not release any stock recommendations in future. Awesome Penny Stocks is not the only company involved in pump-and-dump scams. It is just the biggest for now. The SEC began its latest crackdown of penny stock promoters in 2010 and has implicated 40 individuals and 24 companies too date. Penny stocks offer the lure of a great investment opportunity. However, you should be aware of such scams. Do your research before jumping in and be wary of free email lists promising great penny stocks to buy.